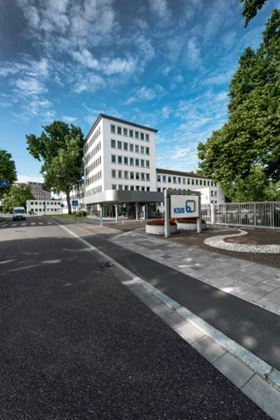 KSB's administration building in Frankenthal, Germany. © KSB AG. KSB also increased order intake and sales revenue in the first six months of this year. The 7.6% increase in order intake to €1182.0 million is mainly due to the companies outside Europe. KSB reported double-digit percentage growth in orders in the Asia/Pacific, Americas and Middle East/Africa regions. Europe remained below the 2016 level, despite a stable order intake for KSB AG. Group sales revenue increased by 2.7% to €1093.3 million, with the companies in the Asia/Pacific and Middle East/Africa regions reporting the strongest growth. Employee numbers decreased by 465 to 15 512 worldwide at 30 June 2017.